Janice Y.K. 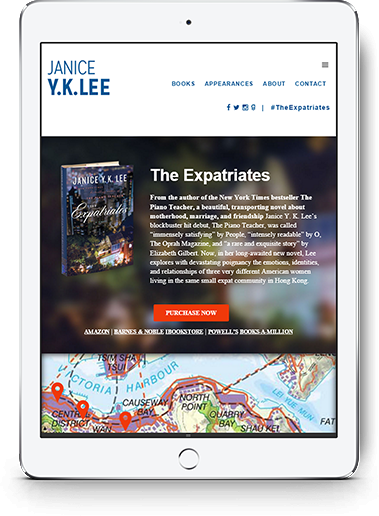 Lee, author of The New York Times bestseller, The Piano Teacher, and newly released novel The Expatriates, has appeared in ELLE, Mirabella, Glamour, and Travel and Leisure, as well as numerous other publications. 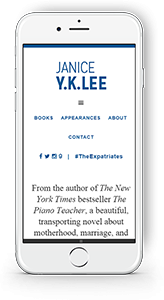 The Piano Teacher received rave reviews “immensely satisfying” by People, “intensely readable” by O, The Oprah Magazine, and “a rare and exquisite story” by Elizabeth Gilbert. MarkNet Group worked collaboratively with a white label partner to bring their beautiful custom website design to life. 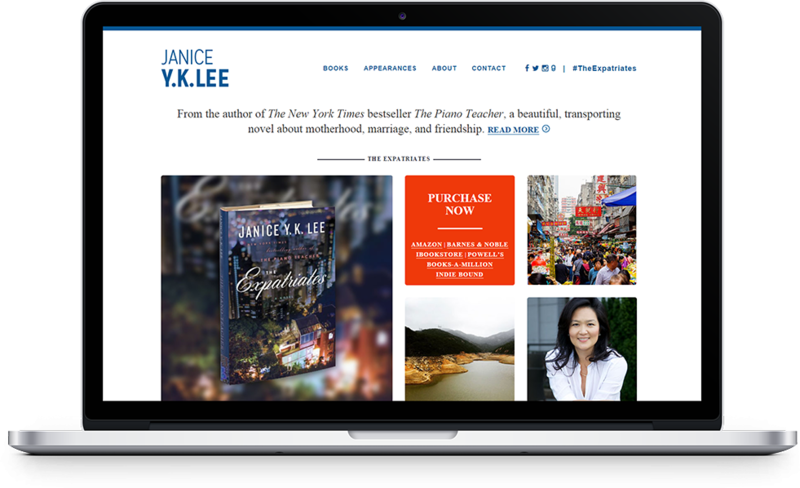 We developed a mobile responsive, custom WordPress theme, and a highly intuitive and user-friendly, content management system. The new website is visually appealing, high performing and easy to maintain. Looking for a Reliable White Label Partner? You’ve Come to the Right Place. We’ll Make You Pixel Perfect. Designers don’t have the time or patience to manage developers. hire MarkNet Group. We code designs to perfection. We won’t deliver a product unless it’s pixel perfect. "MarkNet Group brings my designs to life with such precision. I’m always amazed at how perfect & beautiful the live version of my designs look. They make my life so easy. Partnering with MarkNet allows me to have the time I need to acquire new clients, and focus on my craft; creating web designs. "